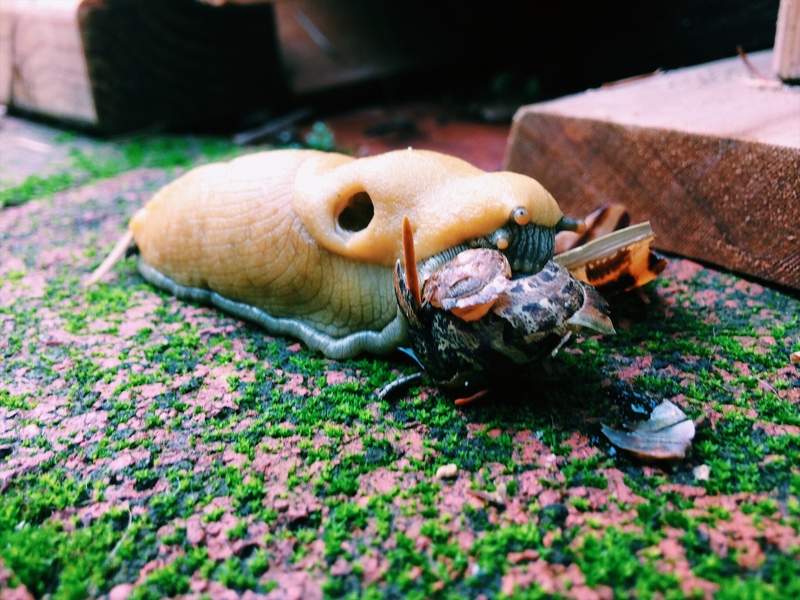 This week we had a fairy egg from our chickens, and a banana slug eating a snail. Mountain life can be cool. 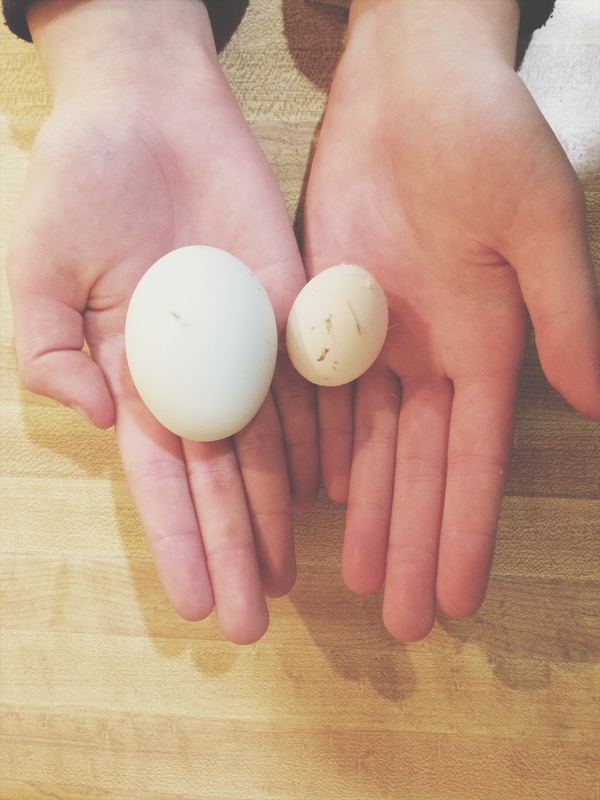 Batter up that slug and you’ve got breakfast! I’ve seen escargot, but that’s the snail not the slug, though I guess they can’t be that different. You can eat slugs. You have to keep them for a bit in case they’ve eaten a toxic mushroom. Soak them in vinegar first and they loose that slimy coating. Tasty.